Keegan wastes no time when it comes to sugar. She is particular about how much sugar is in all of those store-bought snacks. Instead of trying to look at every label week after week to find ones with low sugar she ends up making her own most of the time. Keeping protein high on the list in her snacks is a must. The beauty of the recipe below, according to Michelle, is that it is very versatile. 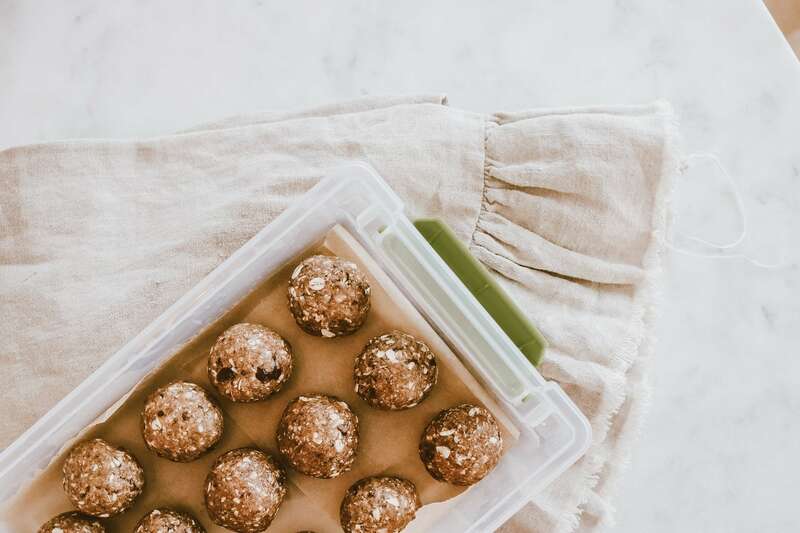 You can swap out just a few ingredients and change the flavor profile completely while still delivering a tasty healthy nutritious and delicious high protein snack. Add in the dates, peanut butter, honey and extract and process until the wet and dry ingredients mix completely. The mixture will start to mold into a bit of a ball as it spins in the food processor, that means that it is mixed well and everything is holding together. That’s what you want! Now mold the balls by rolling about 2 tbsp worth into the palm of your hands. As your hands get stickier, run a little water over them and that will keep it from sticking onto your hands as you form the bites. I like to keep these refrigerated as they hold together better when cold! They’ll keep for 5-7 days in the fridge, but closer to 3-4 days at room temp. Check out more recipes, fun workouts, and fashion over on Keegan Michelle’s website.